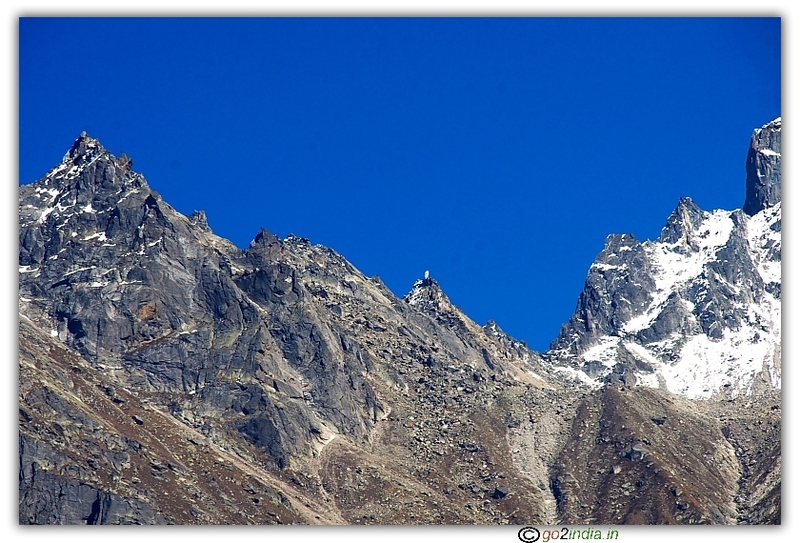 Trilokinath and Udaipur are the main tourist places in Lahaul and Spiti district of Himachal Pradesh state in India. Both the places are located nearby to each other almost at the border of the district towards Jammu and Kashmir (Lahaul side, via Udaipur) area of India. Trilokinath is the end point and no way to proceed anywhere. Both of these places have importance because of ancient temples situated here. The temples are a mixed construction of Hindu and Buddhism culture. Trilokinath is famous for the Shiva temple and Udaipur is known for the ancient Marikula Mata temple. There are wooden statues and carvings inside Udaipur temple. During August 3rd week of every year, there will be a festival in Trilokinath. This festival is called Pori locally. The women dress is a special attraction at Lahaul which is called by the name Cholu. Trilokinath and Udaipur are located on each banks of the river Chandra Bhaga. Standing at one area, tourists can see the other place. There is a belief that, on visiting Udaipur Marikula Mata temple, one should not say, LET US GO. Inside Marikula Mata temple, the main statue area is very small. One has to sit and move to enter inside. 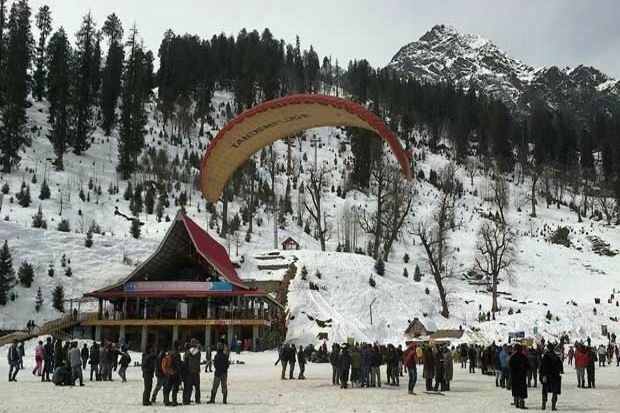 To reach Trilokinath and Udaipur, people have to come to Keylong. Only bus transportation is available. 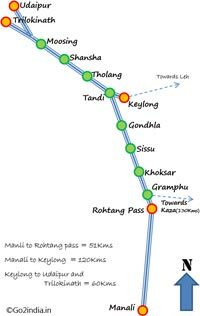 From Keylong, Travel towards Goushol, Tandi, Tholang, Rongway, Lote, Kirthung, Shansha, Jhalma, Thirot and Moosing. These are all very small villages with 50 to 100 houses. After 50Kms there is a diversion. 6Kms to left is Trilokinath and 10Kms to the right is Udaipur. 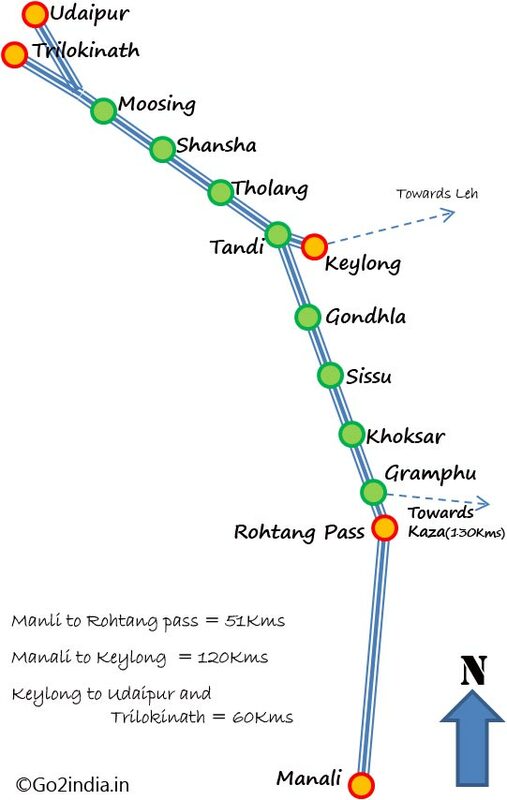 Distance between Keylong and Trilokinath is 56Kms. Distance between Keylong and Udaipur is 60Kms. 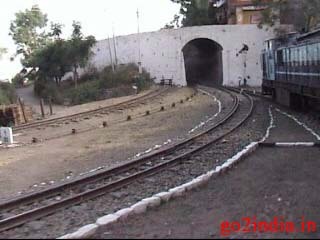 Better to visit Trilokinath first and come back the same junction and travel towards Udaipur. 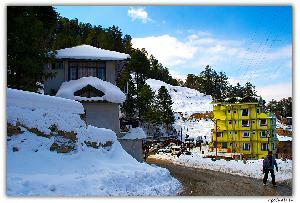 Himachal Pradesh road transport has buses between Keylong and Udaipur and also for Trilokinath. Private vehicles are also available at Keylong. There are Monasteries at Shansha and Jhalma. 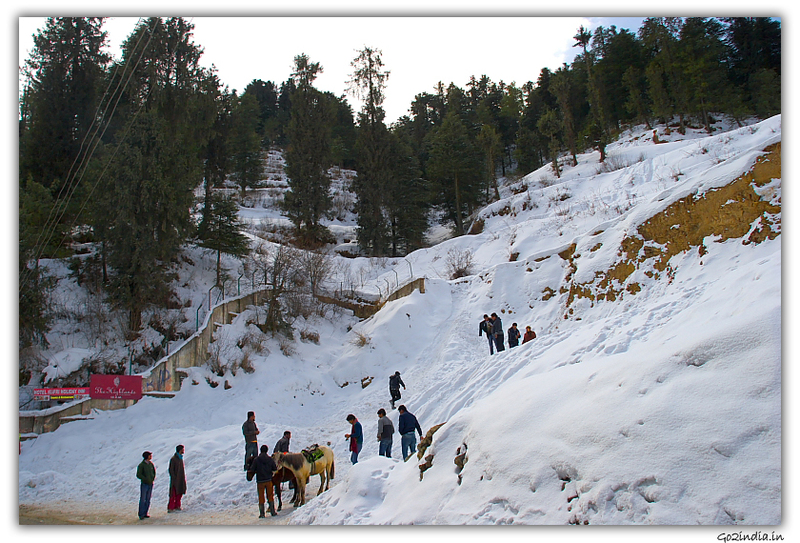 Travelers can visit those places too but have to climb a little to reach the nearby hill top. 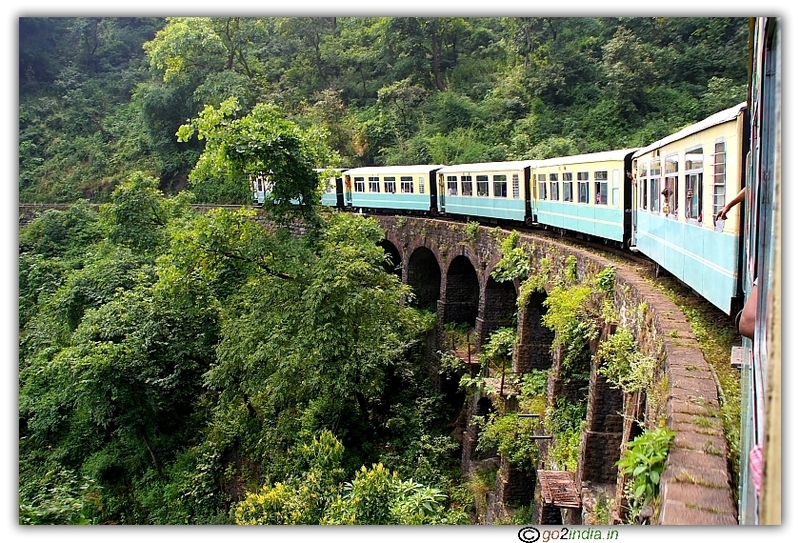 The entire journey from Keylong to Trilokinath and Udaipur is through valleys. Chandra Bhaga river runs for the entire route and proceeds towards Jammu Kashmir and continues to flow to Pakistan. This is one of the very few rivers which run towards West in India. Many small bridges are to be passed and also many waterfalls can be seen. Beware of falling stones from the hill which may lead to accident while driving. The entire area is full of valleys and snow covered peaks. This are is a dream land for Landscape photographers. The main crop, Alu and Mutter can be seen during traveling. The best season is during July to September. 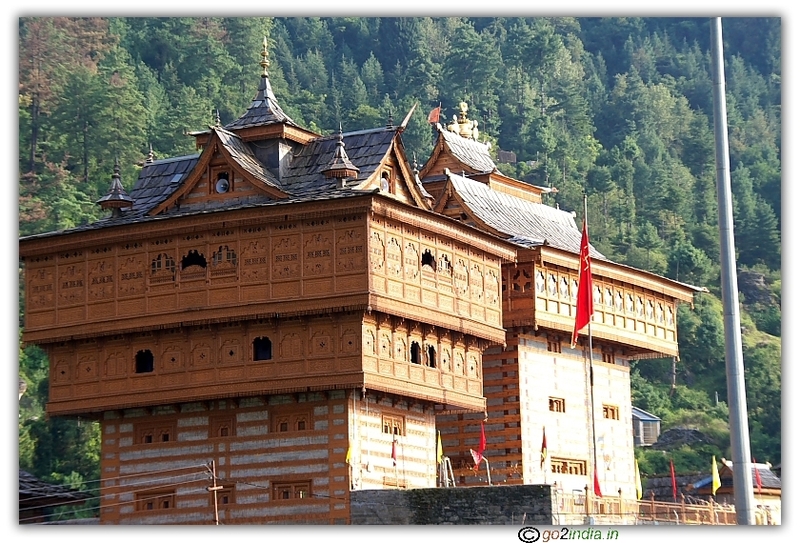 If one wishes to see the festivals at Trilokinath and Keylong, mid of August is the best time. People who wish to see more snow covered peaks can visit during mid of May. But it is risky as the road condition will not be good. If the road is cut at Rohtang pass before visiting Keylong, consider during June first week. Plan leaving Keylong during early hours (around 7.00 am is better) to visit Trilokinath and Udaipur as it may rain at any time in this hill station. Travelers will not stay at any of these places because of lack of proper facilities. Consider staying at Keylong. It takes approximately 6-7 hours to reach these places and come back to Keylong. So better make Keylong as the center place and travel to these places. We didn't even find good hotel for food. Tourists better carry food and water along with them or consider taking it at Keylong after returning. I went to Triloknath and Udaipur both as a pilgrimage.And trust me it was a very nice experience to visit those places,I am So blessed to visit those places...there were temples which were so old and ancient,as a buddhist,i went there to visit those precious temple,feels really great.there were no any big hotel and the food were not so tasty!and the peoples over there were so arrogant otherwise the scenary was awesome.there were so many snow mountains,waterfalls,green farms witha beautiful scene,we really enjoyed the nature.But the road was very risky and dangerous.there were highly chances of falling stones from the hill top.The road was so narrow to travel with!overall,We really enjoyed the view of the places and lucky to visit those temples both in Triloknath and Udaipur.